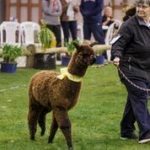 At The Alpaca Place, we use the power of pedigree to unleash the genetic potential in our alpacas – with outstanding results. 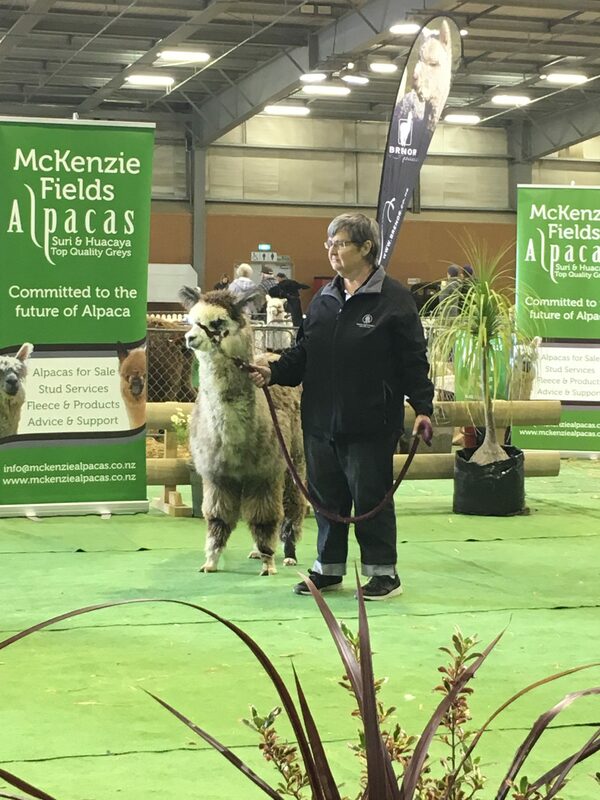 We carefully research alpaca pedigrees to ensure alpacas of distinction are included in the bloodlines of our alpacas to provide a powerful genetic heritage. 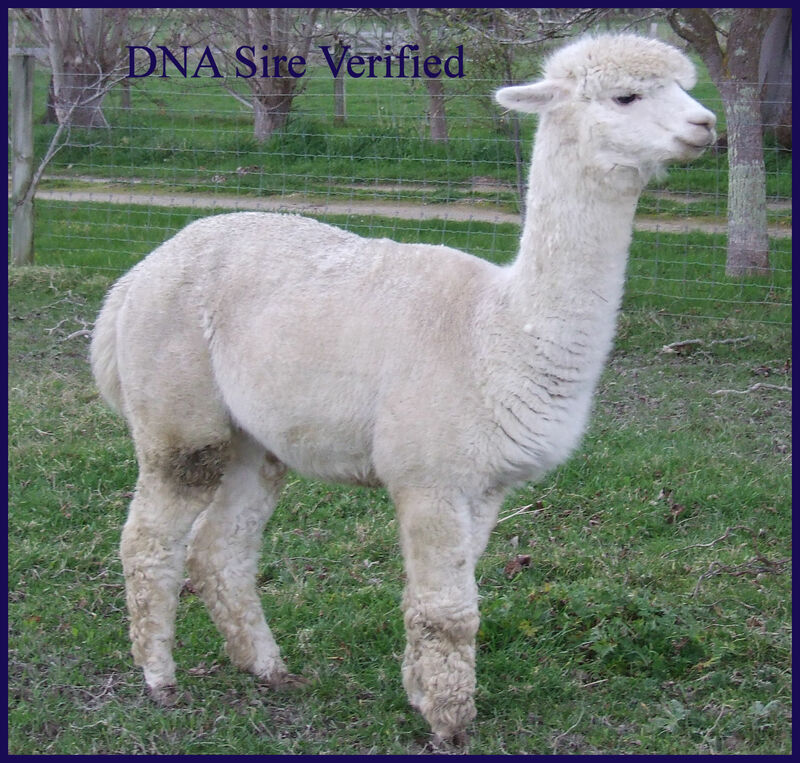 Supported by DNA Parent Verification, you can be confident the genetics you are investing in are genuine and accurate, enabling you to take your breeding programme to a higher level, whether you are just starting out, or wishing to improve your existing herd. 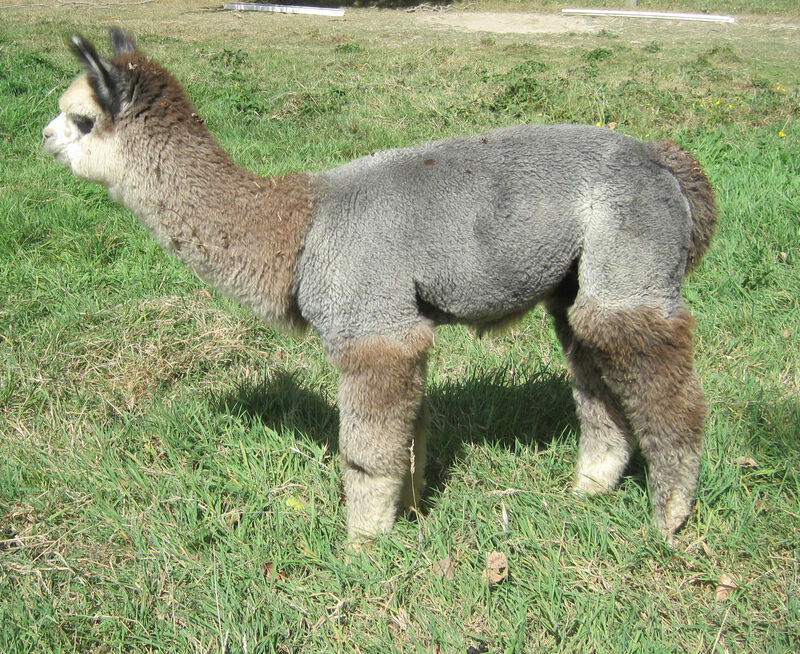 Pregnant female: exciting range of colour options for her cria! 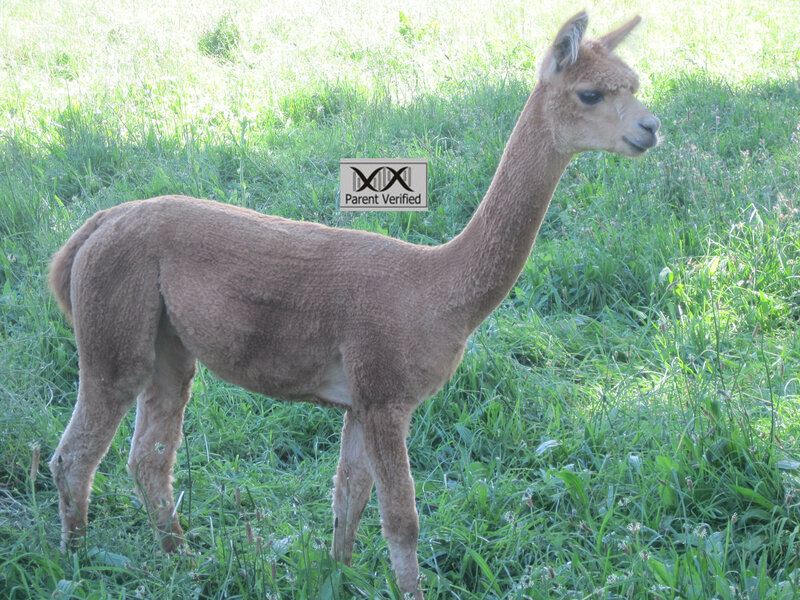 April is a dainty, perfectly conformed little female with great potential as a breeding alpaca. She is expecting a cria in spring 2019. Of course, as per our commitment at The Alpaca Place, April’s parentage has been verified by DNA and she is halter trained to boot. 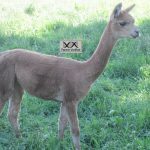 A great little starter alpaca, April’s father , Huari Lincoln, was a black and she therefore carries that colour genetically although she herself is a very pretty medium brown. 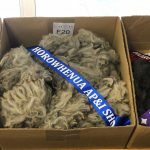 April’s fleece is very dense and at around 30 micron is of commercial quality. 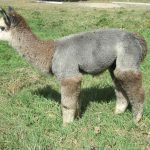 By using April to start your breeding herd, you can bring about fleece improvement to the next generation simply by breeding April with a fine fleeced male in future. 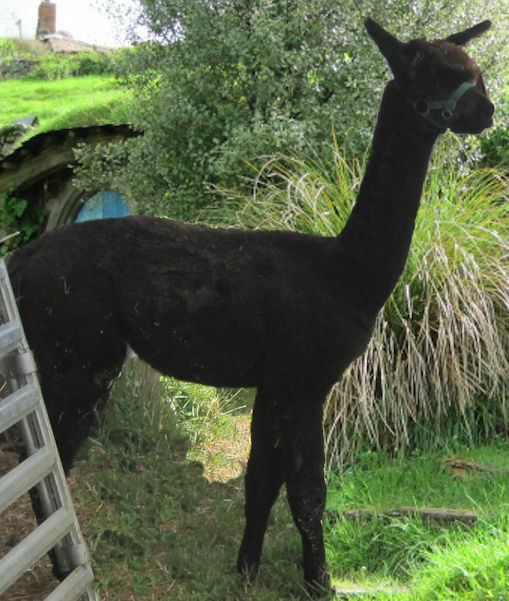 April has been mated to our very handsome young grey male stud NZ Eikon Chico. Both April and Chico have excellent conformation and are likely to produce a very attractive cria for you. To put you in the draw for just about everything, she could produce a black, a silver grey, a rose grey, a brown or a fawn cria from this mating. Strike!! is a medium fawn male with a quiet, gentle nature. Sired by our top-performing stud, Highway Star Gold Flash from a top female, Huari Empire Rose, Strike!! has the genetic background that includes some of the top performing alpacas of all time: animals such as Jolimont Attitude (arguably one of the best alpacas ever), Jolimont Conquistador, Purrumbete El Dorado, and digging even further back, Purrumbete Inti, and Jolimont Sculptor. Both Strike! !s parents are DNA Parent Verified, so Strike!! is eligible for this as well. 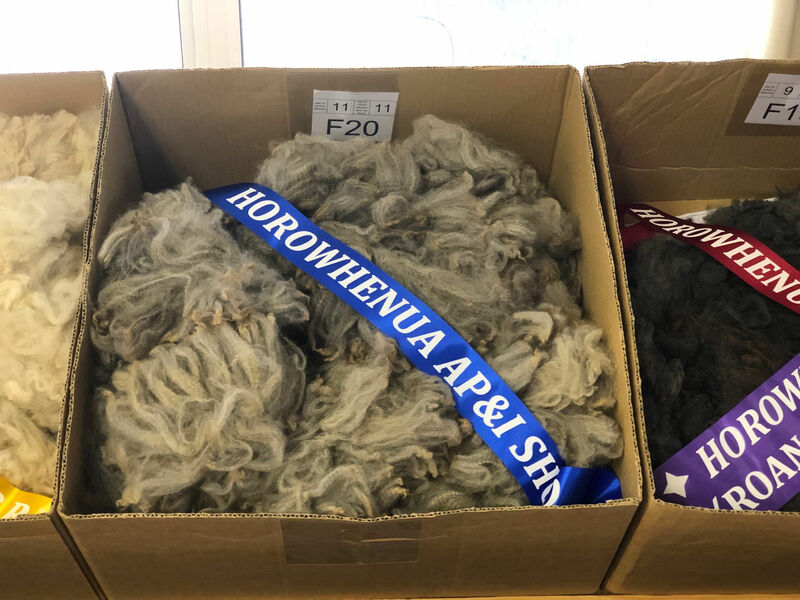 Last shearing on 8-Nov-2018 produced 3.70 kgs (2nd fleece). Sample statistics: Mean=20.40, CV=19.4%, SD=4.00, SF=19.59, CF=98.5%. Strike!! 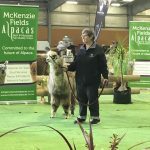 has crimp to die for – and proved his quality by winning Champion mid-fawn male fleece at 2018 Central Region Colourbration. Strike should be ready to work in the coming season, so give yourself a boost up on the quality ladder! No GST is payable on exports. 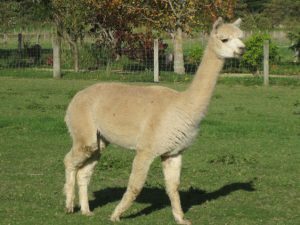 Named for astronaut Buzz Aldrin, Buzz is an attractive, well mannered wether (gelding) who is easy to catch, halter and lead. 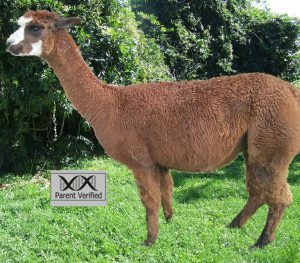 His fleece is soft and crimpy, and he will make you a delightful pet! Known as Nate, this boy is attractive and easy to manage. 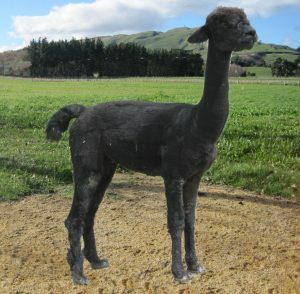 Halter-trained, Nate is black with roan (grey) highlights – an ideal pet! As a young alpaca he won 3rd place at the 2017 National Show for excellence of fleece and looks, competing agains NZ’s best – Nate is an alpaca you can be proud of.